Welcome to the cheese class! On Saturday we had our first ever cheese workshop with our friends from Lois in New York City. Lois had been my favorite wine bar for years, but we were recently connected through their incredible cracker company called Aida Eats. 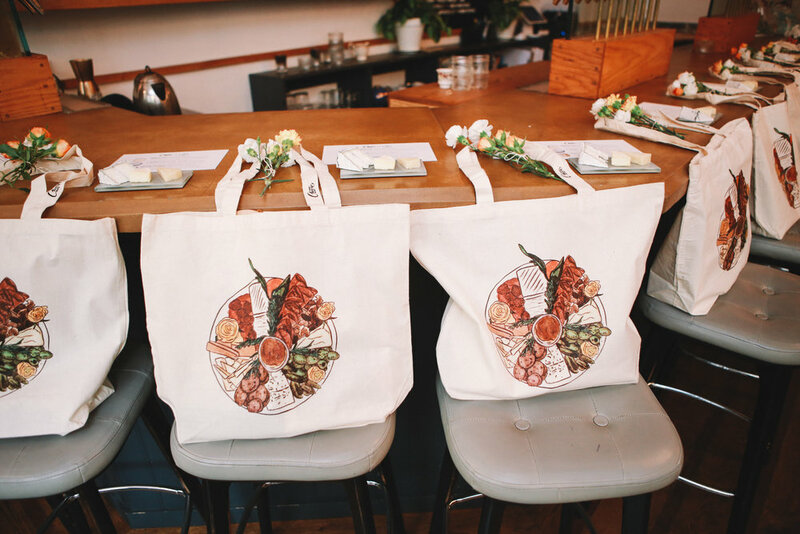 After meeting with the owners Phoebe and Nora over wine and cheese chats, we decided to launch our first cheese plate workshop together. Back in the day, friends of mine urged me to teach a class, but with my self-proclaimed awkwardness and fear of failure I never got it together. Well, we got it together fam, and it was incredible. We chose cheese from the three main types of milk to show the diversity of texture and flavor. 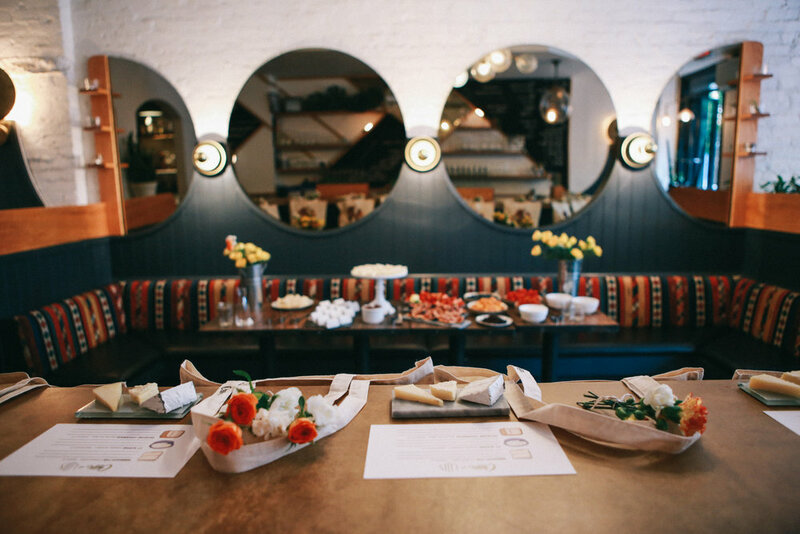 Phoebe, a certified cheesemonger and pro, taught the first half of the class showcasing each cheese and the cheese-making process (with wine pairings, of course). During the second half of the class, I taught everyone my building techniques and walked through the steps to craft a photogenic and delicious cheese plate. 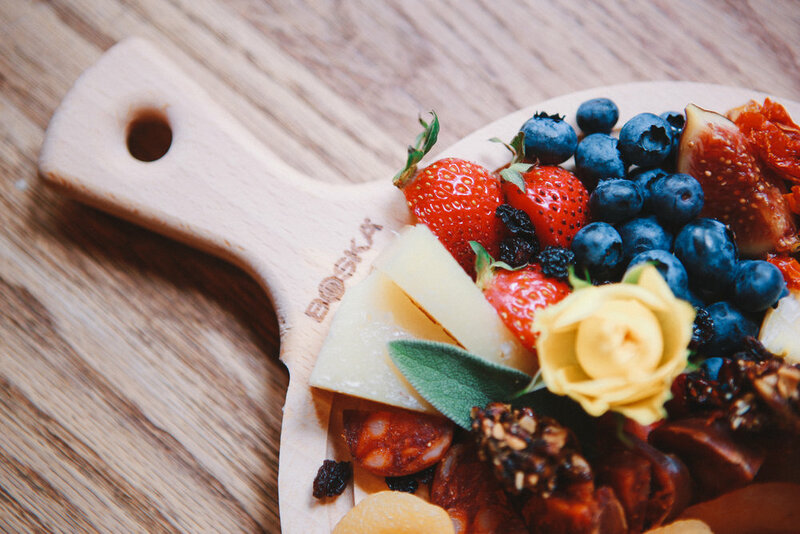 In the gift bags, each attendee got their own Boska Holland wooden board to build their own plates at our cheese station. We also had a photo station, where everyone was able to take beautiful photos of their plates with a fun marble backdrop!